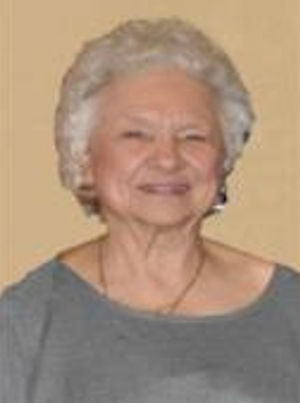 Obituary – Shepard, Phyllis Lenora (McKee) « Perry High School Alumni Association, Inc.
Phyllis L. Shepard, 90, of Perry, Oklahoma, passed away Monday, November 14th, 2016 in Perry. Services have been entrusted to Palmer Marler Funeral Home of Perry. Graveside services are scheduled for 10am Friday, November 18, 2016 at Grace Hill Cemetery Pavilion in Perry with pastor Peter Olsen officiating. Public visitation will be from 9am to 8pm Thursday, November 17, 2016 at Palmer Marler Funeral Home. Phyllis was born November 18, 1925 to William and Bessie (Bryant) McKee in Shattuck, Oklahoma. She attended Perry Public Schools and was a 1943 graduate. She married Clem B. Yockey in 1943 while in Florida, just before he left for Europe to serve in the armed forces. Clem later died in March 1954. On December, 1957, Phyllis married J.W. Shepard in Perry, OK. He and Phyllis owned and operated Shepard Appliance Store from 1961 to 1989. They also owned and operated Shepard’s C&C Ice from 1966 to 1998 and then reopened it in 2001. Phyllis was a pioneer business woman in Perry. Family was very important to her. She loved spending time with her grandchildren and great-grandchildren. She also enjoyed sewing, crafts, crocheting, and dancing. She is survived by her two sons, Clem Yockey and wife Opal of Perry, Oklahoma; and Chris Shepard of Perry, Oklahoma; one granddaughter, Kelly Head of Owasso, Oklahoma; and two great-grandchildren, Chalyn and J.W. Head both of Owasso. She was preceded in death by her parents, both husbands, one son, Wesley Scott Yockey; two brothers, Sammy McKee and Johnny McKee, and one grandson, Clem Yockey. Memorials may be made to the Oklahoma Alzheimer’s Association in c/o Palmer Marler Funeral Home in Perry.